Arm lift, also known as brachioplasty, is a surgical procedure to remove and reduce the excess sagging skin of the upper arm, to tighten the supportive tissue, soothe the shape of the upper arm and reduce the fat pockets in the upper arm area. How Arm Lift is Performed? During the consultation the surgeon will determine the type of branchioplasty you will have and mark the incision lines accordingly. After the consultation and the necessary blood tests, you will go under anesthesia. Then dressings and garment are applied and the surgery is over. The whole process usually lasts 1 to 2 hours. 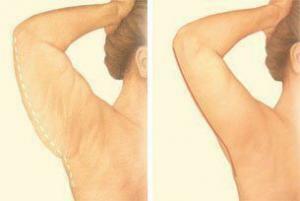 Who is suitable for an Arm Lift Surgery procedure? Do not take blood-thinning medications such as aspirin or anti-inflammatory medications such as ibuprofen for 2 weeks prior to your surgery. Do not take supplements like vitamin E and fish oil for 2 weeks prior to your operation. However, a multivitamin that has less 700 IU is fine. Do not smoke for 2 weeks prior to the surgery as it increases the chances of complications. You will be given a painkiller and antibiotics by the doctor and if needed, the doctor may prescribe other medications. You should use the medications as your doctor has described. You should stop strenuous activities, contact sports and heavy lifting for at least 3 weeks. For a long-lasting result, you will have to follow your procedure. You will get smoother, tighter contours that will show almost immediately, you will feel more self-confident and more youthful than have felt for a long time. So it is essential to the success of your operation to follow your surgeon instruction carefully. You can check out the before after gallery for results of Arm Lift here.